Choose any amount from $10 to $1,000. Pay no fees. No expiration. Ever. Receive fast delivery: E-mail or overnight it. Redeem easily online, by phone, or at the airport. Southwest gift cards are perfect for employee holiday gifts, marketing incentives, rewards programs, and more, because everyone loves to travel! Easily order Southwest Airlines gift cards or egift cards with NGC’s gift card API interface. National Gift Card is the best place for you to order Southwest gift cards and egift cards in bulk. We are the experts in all things gift cards and can set up your gift card solutions program for you today. Please contact us for more information on White Castle’s bulk, direct-to-recipient, or individual gift card fulfillment for your gift card program. Contact us online or call us at 888-472-8747 today! 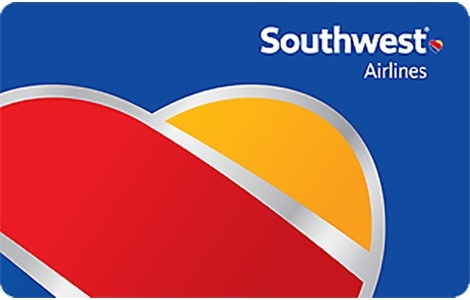 A Southwest® gift card is redeemable at Southwest.com, 1-800-I-FLY-SWA, or at a Southwest Airlines ticket counter for air travel and other qualifying products and services. A complete set of terms and conditions is available at Southwest.com/giftcard. Gift card is nonrefundable and not redeemable for cash or credit except where required by law. Gift card is not replaceable if lost, stolen or destroyed. Protect the card like cash. For balance check, call 1-866-393-2081. Activation or use of Southwest® gift card constitutes acceptance of all terms and conditions on Southwest.com.